Over the IPL controversy, Shashi Tharoor has given his resignation. When the Congress party is planning to check his link with the IPL controversy, at a time Supriya Sule start defending her father. Supriya Sule’s husband Sadanad Sule is suspected to have been a part of the Videocon bid for an IPL but Supriya Sule said that her family did not bid for any IPL team. But the bid papers for Videocon are missing. Supriya Sule has given her statement about the IPL controversy "I say with full conviction that my husband (Sadanand Sule) or family has nothing to do with any of these issues. We always stay miles away from it. Yes, we are avid cricket watchers, my husband, my kids, my family all and that's where the buck stops”. The NCP MP said "We are all clear. It doesn't matter what people say and spread. I think at the end of the day your conviction matters”. Maharashtra Chief Minister Vilasrao Deshmukh says, "I don't want to talk about one individual. There should be a thorough enquiry into the whole of the IPL." "If you talk about Mr Pawar, in the first interview he gave on this issue he spoke well about Mr (Shahshi) Tharoor also. It is unfair to say that he only defended Modi. He even said good things like Tharoor were really keen on Kerala cricket." She said. She also added "Everybody knows Praful Bhai. He is one of the most popular and positive MPs and ministers in the country. He is loved by the entire country and I see no reason for him to do this”. She said about the NCP "The alliance is intact as it is committed to good governance and development of the country. I do not think this issue is going to affect the alliance”. She also added “I am against banning of anything." 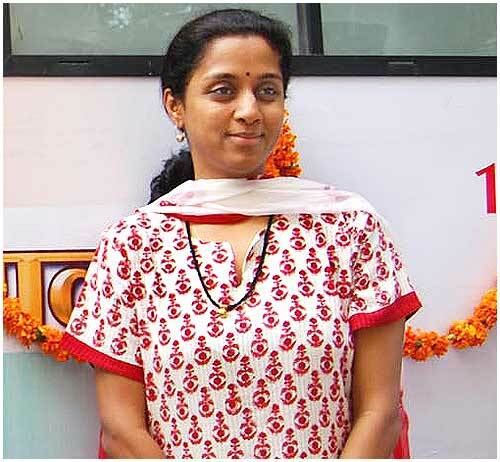 Supriya Sule contested the elections for the Baramati Lok Sabha voters in the year 2009 and she won the elections. Before, this constituency was symbolized by her father. She was representing Maharastra in the Rajya Sabha because she was a Member of Parliament. She was born on 30 June 1969 at Pune and completed her B.Sc from Jai Hind College in Mumbai. On 4 March 1992, she married with Sadanand Bhalchandra Sule. 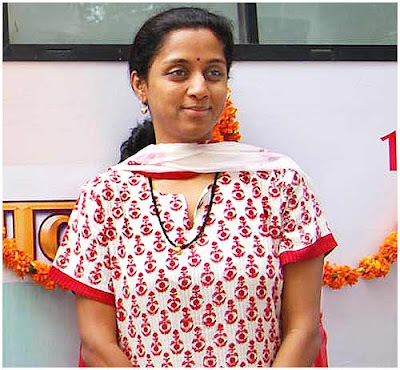 Supriya Sule has one daughter and one son.